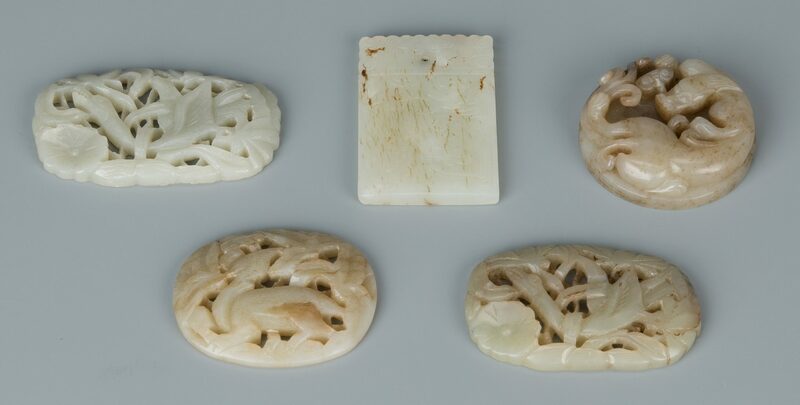 1st item: Carved Chinese celadon circular pendant with raised dragon decoration. 2 1/8″ dia. 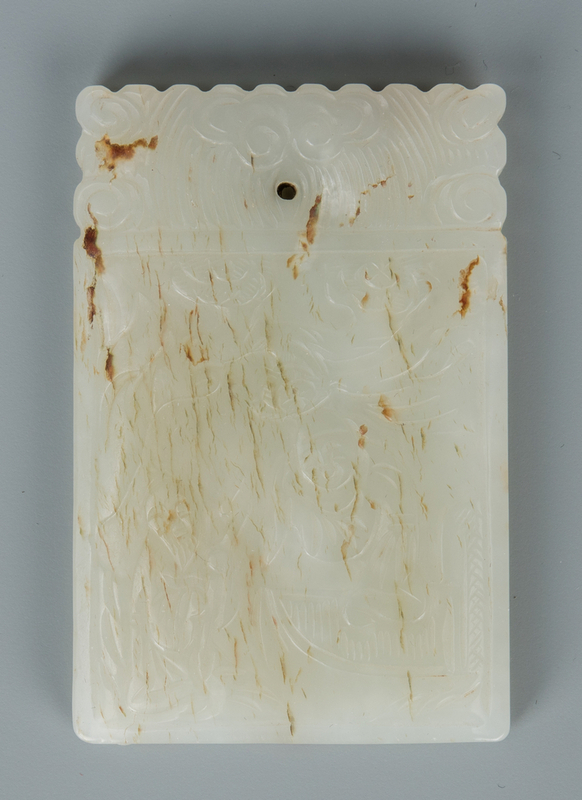 2nd & 3rd item: 2 Chinese rectangular celadon jade openwork plaques with crane and foliate decoration. 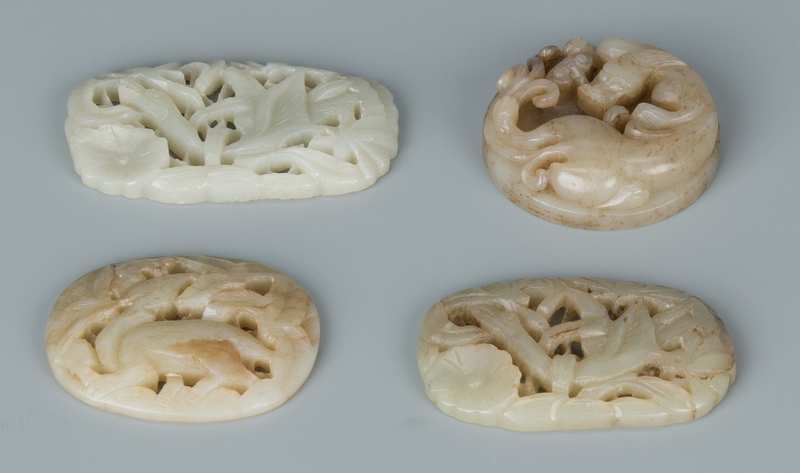 2 3/4″ W & 3″ W. 4th item: Chinese oval carved and pierced celadon jade plaque with animal and foliate decoration. 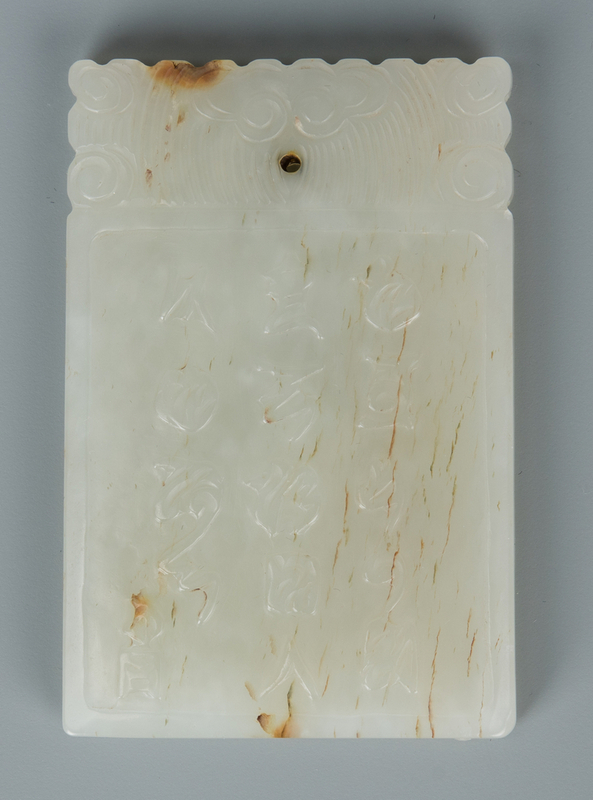 2 3/8″ W. 5th item: Chinese rectangular celadon jade plaque with carved immortal decoration to the front and 3 rows of Chinese charcters verso. 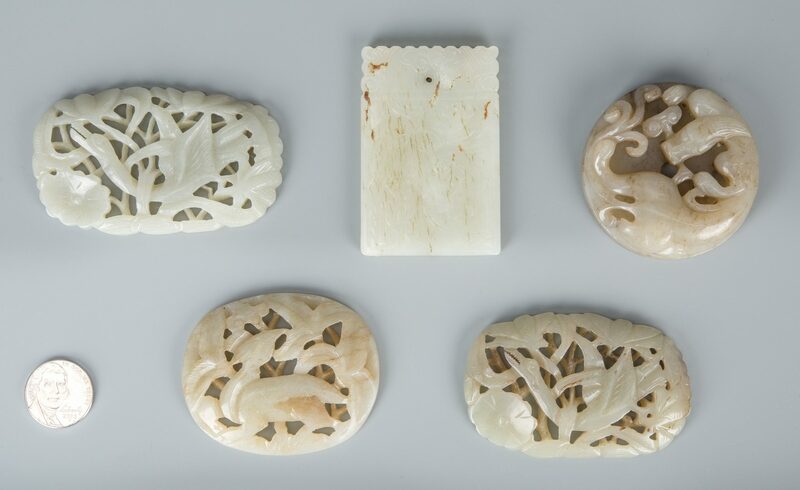 2 1/2″ H x 1 1/2″ W. All pieces Late 19th/Early 20th century. 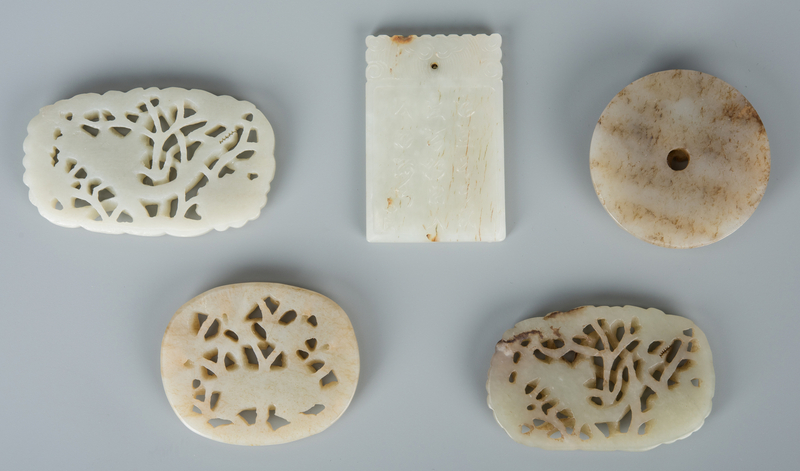 CONDITION: All pieces very good condition.